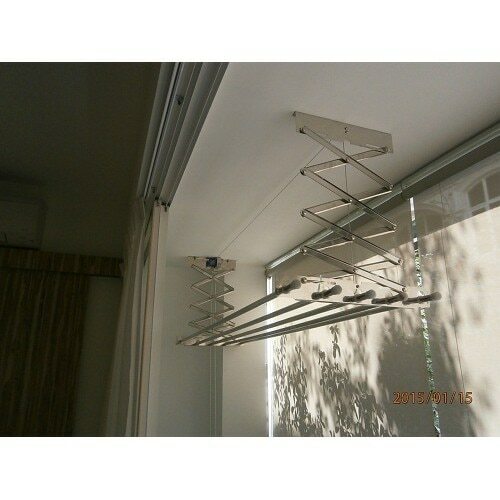 Shrijith Home Appliances Manufacturing Cloth Drying Hangers in Best Quality. It Is Our New And Advanced Model In Eleganza Series. It Has The Advancement of Extending And Hanging The Pipes When Needed. Its Specifications Are, It Takes Minimum Effort For Smooth And Easy Operation, stainless Steel And Rust Proof Construction.